Meet our musically talented instructors of The Academy! 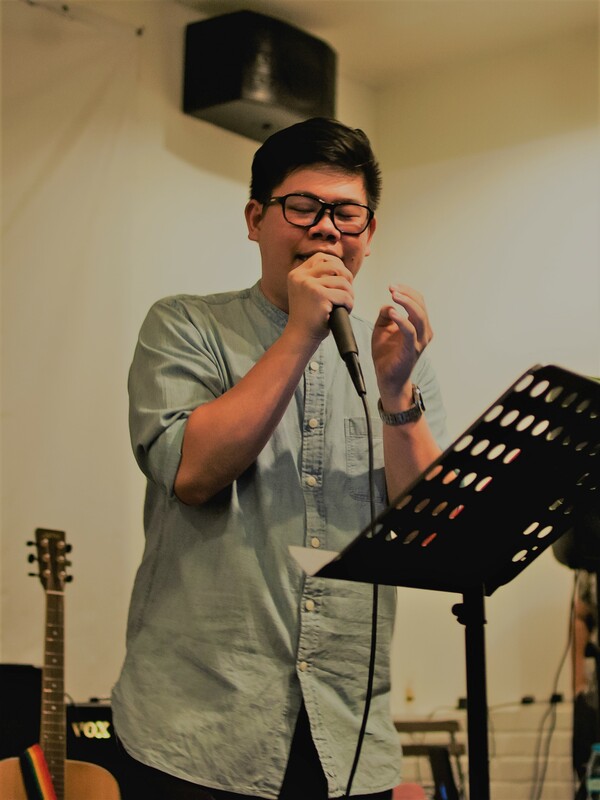 Our instructors are veteran music teachers contracted in various international schools located in Klang Valley whom are experienced in educating and teaching learners from a wide range of age. Please don't hesitate to drop by for a free trial lesson and let our instructor demonstrate their appeal to you! As one of the founders of The Academy, Sean is undoubtedly the backbone of this heartwarming musical family, staying true to his moving vision throughout the years. With an impressive teaching experience of over a decade, Sean started The Academy with the insight of providing the highest quality of music education possible while establishing a nurturing environment for young and budding musicians. 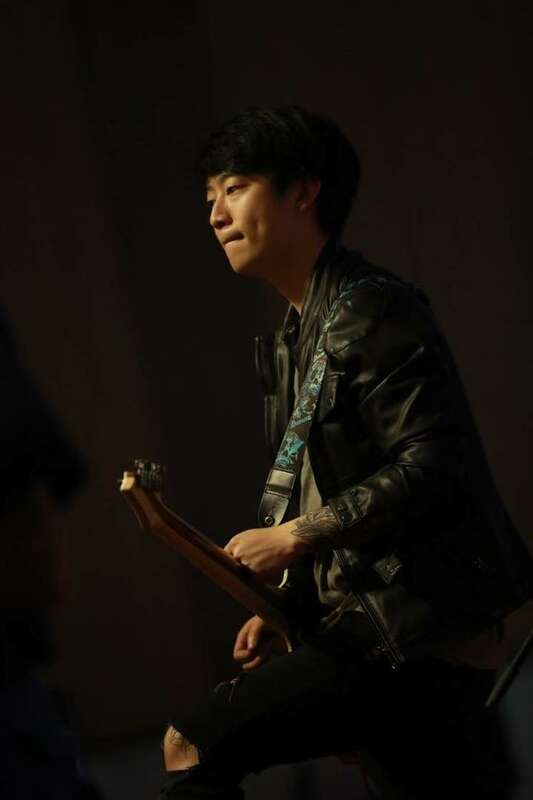 He holds a Bachelor’s Degree in Contemporary Music from UCSI University. 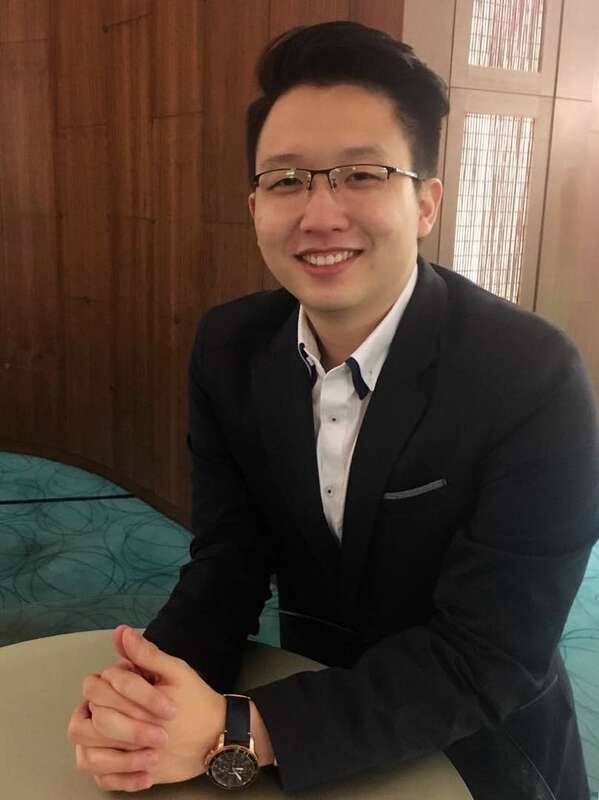 Alongside being the Director of The Academy Music Centre, he is an interim lecturer-on-demand at Taylors University, as well as the orchestra conductor for Sri KDU’s concert band. Sean’s main instrument is the electric guitar, but he also minors in drums, piano, and the clarinet. He is, in other words, one real rocker of a director. A family man through and through, Kingsley is our vocal and piano teacher, and also model employee of the year. Kingsley graduated with a BA (Hons) in Music, majoring in professional vocals all the way from Middlesex University, London. Whilst Kingsley was studying abroad, he was already singing up a storm with his impressive vocals, performing in various events organised by Middlesex University around London. Upon his return to Malaysia, Kingsley continues to wow audiences with his ability to deliver well-woven performances of multiple genres and languages. One must simply listen to him sing above anything else. Ever thinking of becoming a true performer? He's the guy to look for. 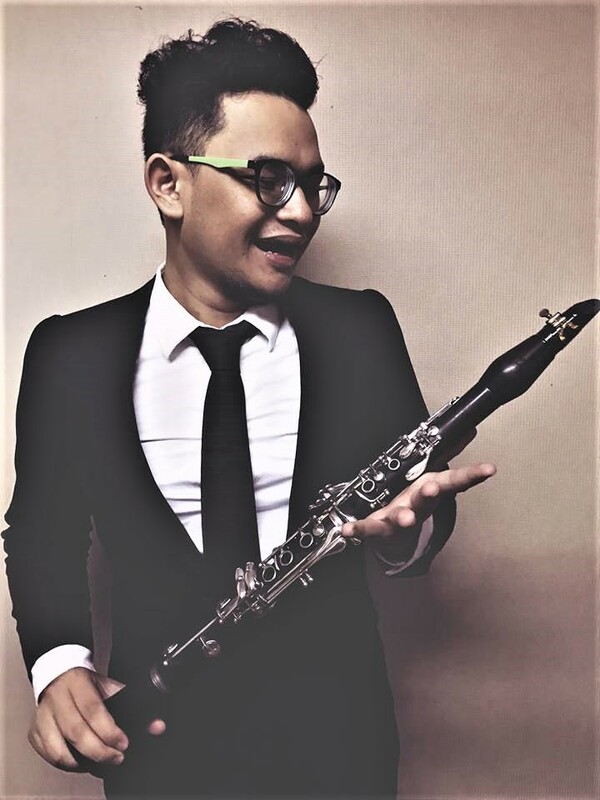 An exuberant clarinet player, Waie's passion is to spread the love of music through education. He spends most of his time travelling all over Malaysia to teach wind orchestras, marching bands, ensemble and traditional music groups. Known to be quite the avid gamer, Waie is yearning for his first chicken dinner in the Player Unknown's Battle Ground, a rampage in his Defend of The Ancients and Supreme Master First Class in Global Offensive's Counter Strike. Armed with a Bachelor Degree in Music Performance from UiTM's Faculty of Music and vast teaching experiences, he hopes to empower his students to be well-equipped with a performer's mindset. P.S. Drop a message to learn how to solve the Rubik's Cube from him. 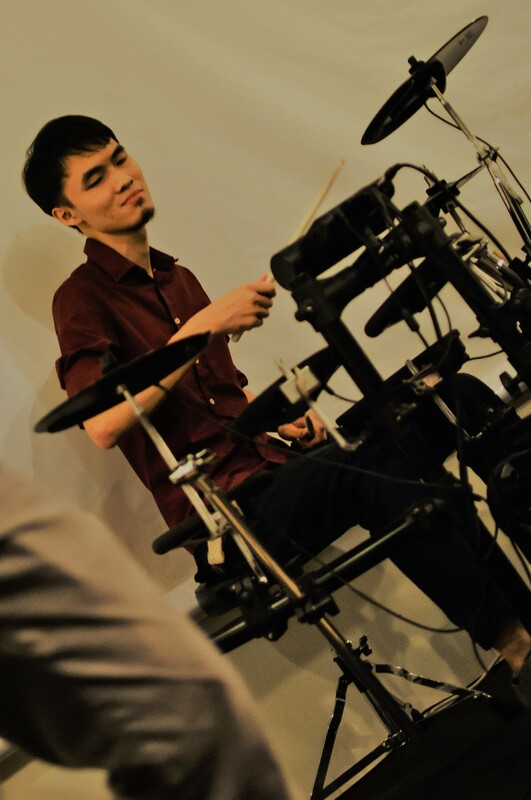 Often subjected to good-natured ribbing by his peers, Adrian is one of our newest addition to The Academy family, assuming the role of a seemingly calm and collected drum teacher from the outside, but a witty and surprisingly clever person from the inside. Adrian started his drumming journey at a very young age of 16, and has completed his Grade 8 under the Rockschool syllabus. With an infectious brand of youthful enthusiasm, Adrian's wit often comes into play during most unsuspecting moments, which could either be a valuable lesson to be learned or an important reality check in the form of a simple but cunning remark. Affectionately referred as Momo, Fariq is one of our rising stars in the Malaysian music industry. 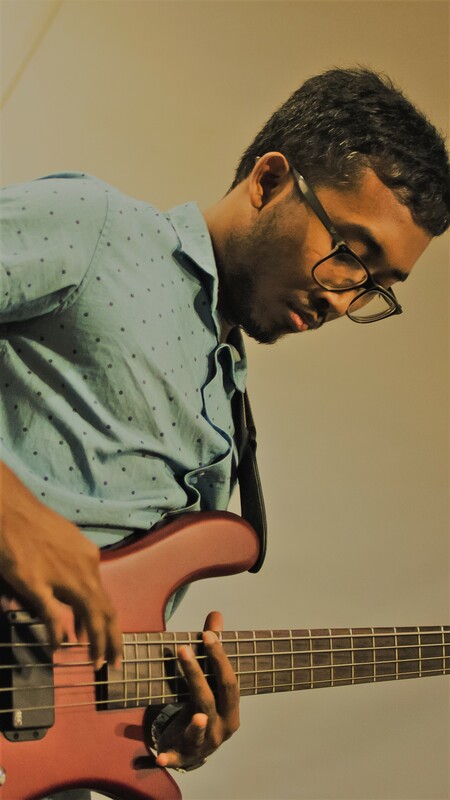 With a Diploma in Jazz Guitar performance, and a Degree in Music Composition both from UiTM, we may or may not have among our midst the next Earl Klugh! Momo has a nose for travelling, leading a fulfilling life revelling in the great outdoors and broadening his perspective through his holiday adventures. If you wish to learn a thing or two about the world, Momo is certainly the person to look for. His recent trip to Hawaii enables him to name all the existing islands in the archipelago with just a snap of the fingers. Pretty cool, isn't it? 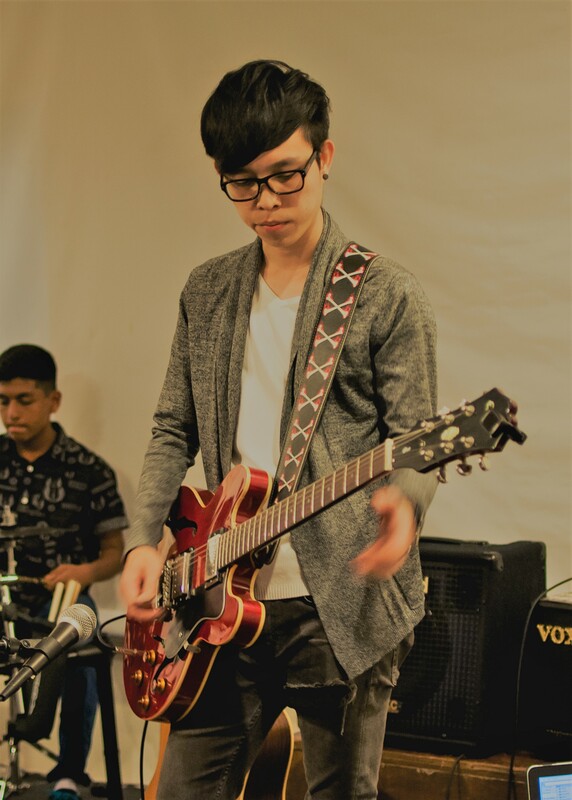 A closeted rockstar, Eugene is our guitar maestro. 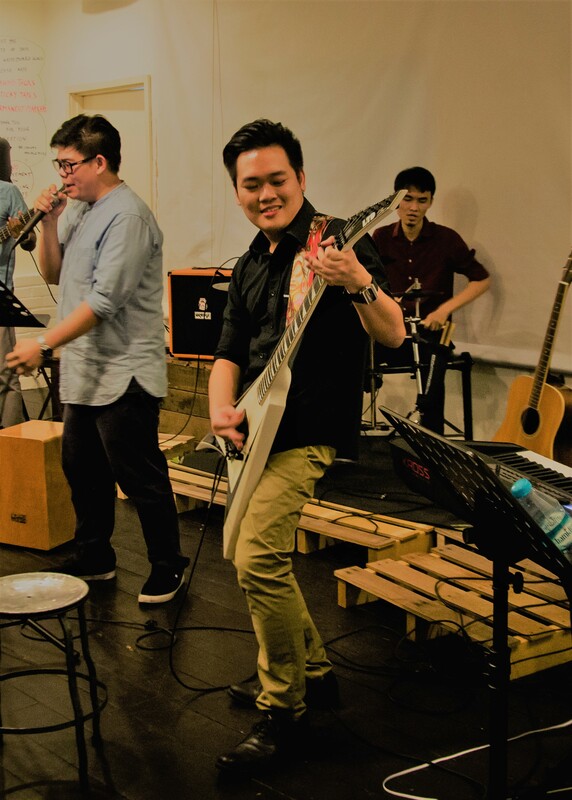 Holding a Bachelor's Degree in Contemporary Music from UCSI University, Eugene has been teaching and performing for 5 years and counting with the guitar and ukulele. He is a big fan of Richie Sambora of Bon Jovi, and an appreciated individual for being always willing to lend an attentive ear. If you are ever interested in becoming a rockstar, feel free to call in and sign up for a free trial class with Eugene as the instructor of your choice! His powerful rock performance will surely make you tremble with anticipation. 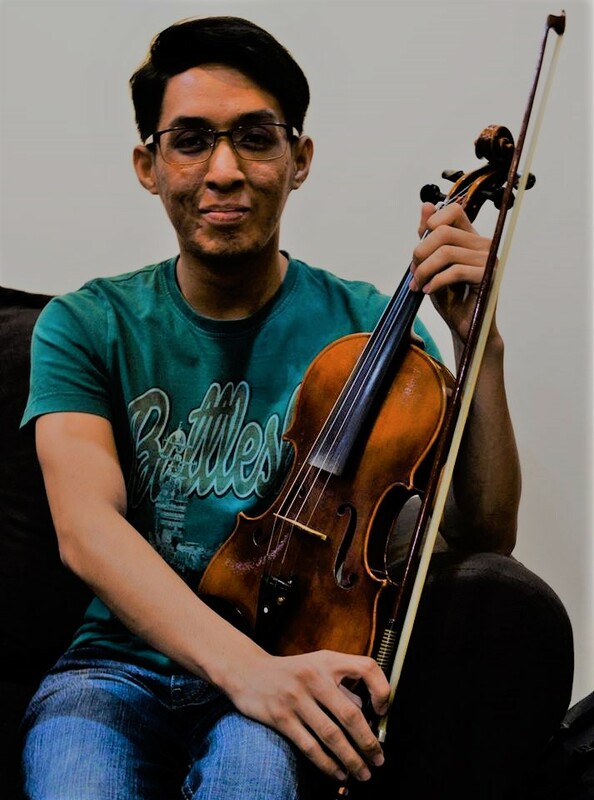 Being a laidback person by nature, Amir is often overlooked by many, but his prodigious performance with the violin will turn him into an astounding figure commanding the presence of the room. Amir comes equipped with a degree in Music Composition from UiTM. He is a native citizen of Johor, and is more than capable to connect with his students on a digital level for being an avid gamer himself. Hey, whoever said that a fanatic gamer can't ever be a talented musician in the first place? Kind-looking Aflred looks exactly just like the part — a classy pianist and violinist with a dash of sass. Alfred graduated from The University of Sydney with a Bachelor of Music Studies under the masterful tutelage of Mrs. Alexandra Vinokurov from Moscow State Conservatorium of Music. He also holds a Trinity College of London Diploma, LTCL & ATCL, and a Grade 8 Theory certificate. An instructor-on-demand with a heart of gold, Alfred works hard around the clock with nary a complain and always puts on a friendly smile for everyone. He is highly sought after by many thanks to his gentle yet effective tutelage. Alfred also has a fondness for children, which makes his job as a music instructor all the more meaningful when it comes to educating the little ones. We welcome Shoon Fai as a fresh face to The Academy, but definitely not as a newcomer to the music scene. Shoon Fai graduated from Malaysian Institute of Arts in 2012 with a Diploma in Music. He also holds an ATCL Diploma in Classical Guitar. Known to be a lover of indie music and a full-time aficianado of guitars, Shoon brings in a refreshing Western breeze into The Academy thanks to his humbling time in America. His energy and enthusiasm stemming from a youthful vibrance has earned him several impressive feats buckled under his belt — Shoon has organized a solo classical guitar concert in 2015, performed with the electric guitar with the band Prime Monument in various events and music festivals all around Malaysia up until 2017, and has achieved the title of Top Ten Classical Guitarist from competing in Tarrega Asia Classical Guitar Competition. These feats garnered through the years have certified himself as more-than-qualified as an experienced stage performer.